Since my first post AF-MA ( found here ) I’ve refined the way I do tests for AF micro focus adjustments. For a macro lens (in this case – Canon EF 100mm USM) the minute differences between small AF Micro Adjustments increments do not create visible differences in photos. I needed a more precise method to locate the sharpest AF MA value. 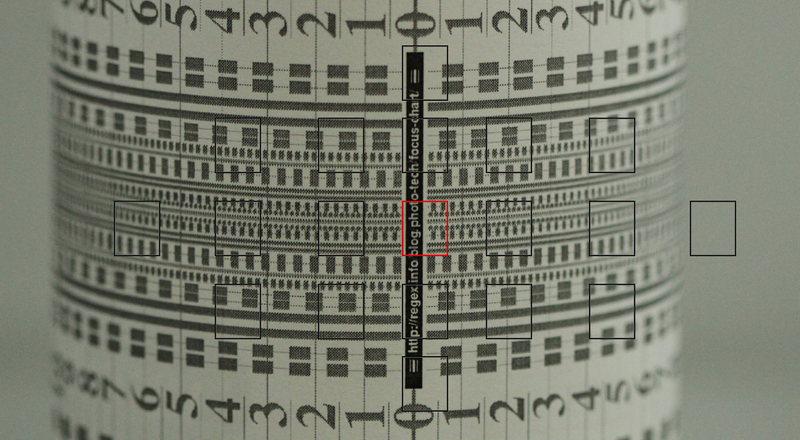 Since the camera photographs the bottle from 70cm away, looking down a bit (I think is 15cm above the center of the focus chart), it is normal not to have all the digits (the bottom row and the top row) focused at the same time, as the focus plane slices the “bottle” instead of being parallel to it. To compare, I first made a shot of the red area above using a different camera with better macro abilities (Canon SX20 IS on Super Macro mode). Then, I decided to go between -2 and 9 on the Canon 7D, and then pick up the setting that produced the best reproduction of the image. My reference were the two small points to the right of the letter g (between ‘g’ and ‘p’). The best separation between them is on setting +2, in the other cases they look a bit more blurry. a) Camera mounted on a tripod. b) Shot in Tv mode, with speed of 1/200 and a 2 seconds timer (I don’t have a remote yet). 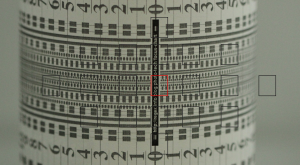 c) AF mode was “One Shot” and only the center sensor (cross type on Canon 7D) was selected. d) No post processing, images below are crops from what the camera produced. I want to thank Jeffrey for the focus charts, I am a pixel peeper and they proved to be extremely helpful! Having the focus chart wrapped around a bottle being photographed from above ads a new perspective to the test. 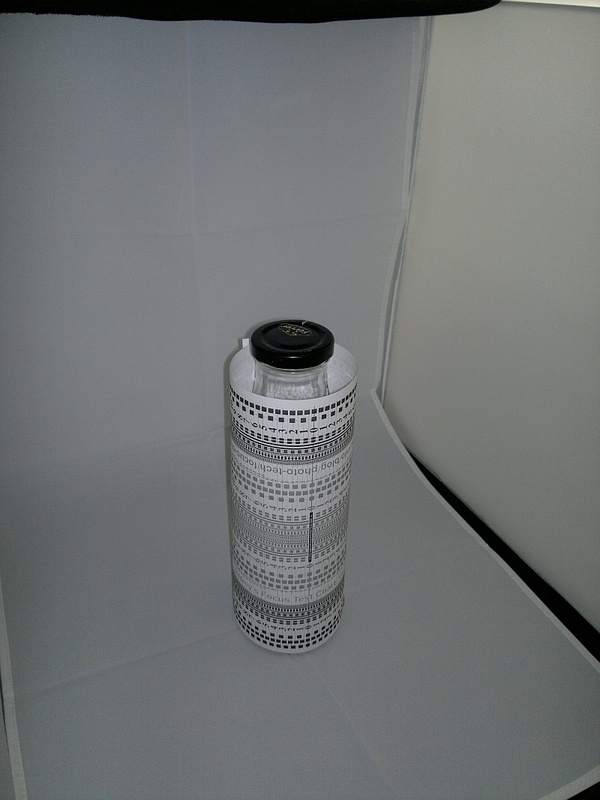 You can see how the focus plane cuts through the ‘bottle’ (so not only the main AF focus point will be sharop, but also all the points within the image that will be found on thus focus plane).